Lightweight, strong, and durable. 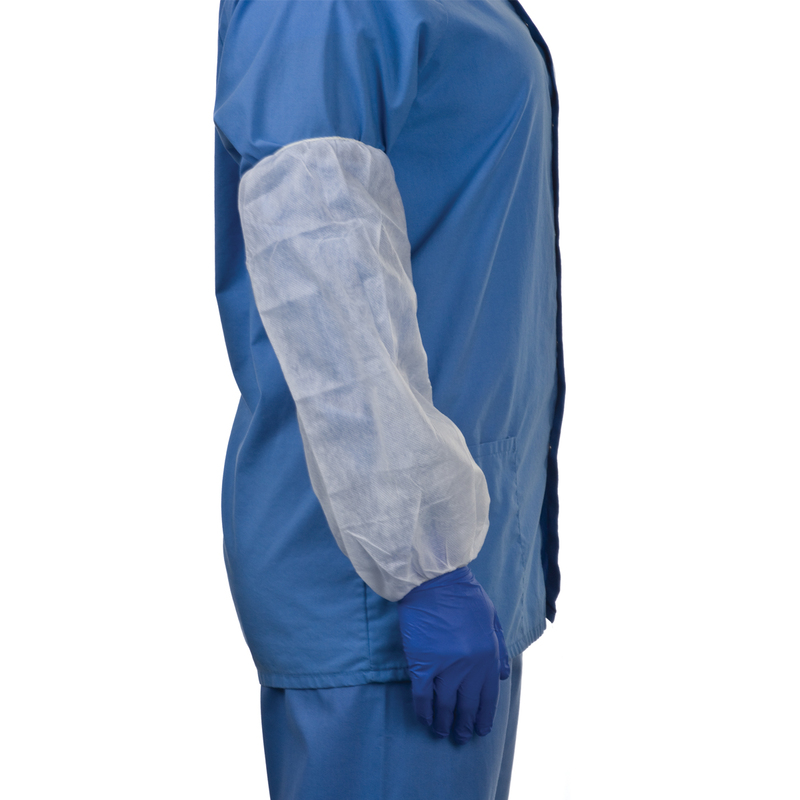 Protective sleeves are made from spun-bond polypropylene coated in polyethylene with elastic cuffs on top and bottom. Single use.